As a result of a promotion, an exciting career development opportunity has arisen to work in the Postgraduate Medical Education Team. We are currently looking to appoint a Deputy Medical Education Manager. The successful applicant will be based within the Trust’s busy Medical Education Department. They will work in partnership with the Director of Medical Education and Medical Education Manager to ensure that Learning and Development agreements for Doctors in Training are delivered in accordance with standards set out by Health Education England. 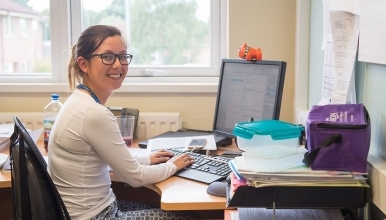 The post holder will be responsible for ensuring that teaching programmes, induction programmes and training curriculums are delivered across a variety of specialties in the Trust. They will also work closely with Educational Leads to ensure that the study leave processes are followed. They will have line management responsibility for the Medical Education Teams at Shrewsbury and Telford and provide day to day management of the Education Centre at Princess Royal Hospital. The successful candidate will be highly motivated, be quick to learn and be able to work under pressure with minimal supervision.